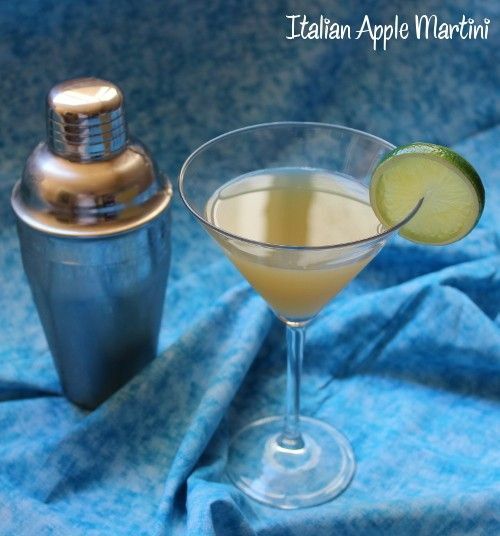 The Italian Apple Martini is a delicious combination of almond and fruit flavors. It features amaretto, Sour Apple Pucker, vanilla vodka, lime and cranberry juice. The amaretto and vanilla balance the tart fruit ingredients so you get a flavor that starts out sour but quickly mellows out. This drink is delicious anytime, but it always makes me think of fall. It’s a great choice for a fall party or holiday. Fill a cocktail shaker with ice and pour in all ingredients. Shake until chilled and strain into martini glass. Garnish with a lime wheel.